Living... in prison after years as a junkie. As far as prisoners go, she’s pretty easygoing. Everything she says is a witty barb, but that ribbing just means she likes you. Prison is tough, but she’s on the other side of a bad addiction – she’s probably dealt with way worse than whatever’s in her way now. Profession... working in the electrical shop with the new girl Piper. They work hard and get paid nothing, but their real troubles don’t start until a screwdriver goes missing. In prison, a screwdriver might as well be an atomic bomb, so the guards have locked everything down until they find out who the culprit is. Interests… staying clean during recovery and keeping the mood light – especially when times get tough. Red, the Head Chef, took her under her wing when she was first getting over her addiction. Having someone so powerful on her side gives her the confidence to make friends and joke around. Relationship Status... newly single after a long relationship with Lorna, an engaged Bostonian who keeps busy by planning her wedding. When Lorna decides her fling with Nicky has become too serious, she breaks it off in fairness to her husband-to-be. But he never even visits, so Nicky’s not too happy about that development. Challenge... getting over her bitterness towards Lorna and a deeper, angrier bitterness towards her mom. She was raised by a nanny in a separate house from her mother. That abandonment led to drugs, and drugs led to open heart surgery. 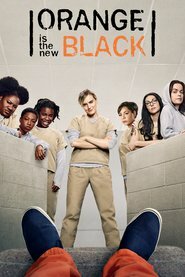 Things haven’t always been fun and breezy for Nicky, but she finds the unique rules of prison society easier to navigate than the outside world. Personality... sarcastic but caring. When she sees Piper on her first day, she can see the naïve, wealthy soap-maker is in way over her head. She shows her the ropes and welcomes her to a scary, dangerous place with kindness and compassion. Nicky Nichols's popularity ranking on CharacTour is #1044 out of 5,000+ characters. See our top-ranked characters and read their profiles.